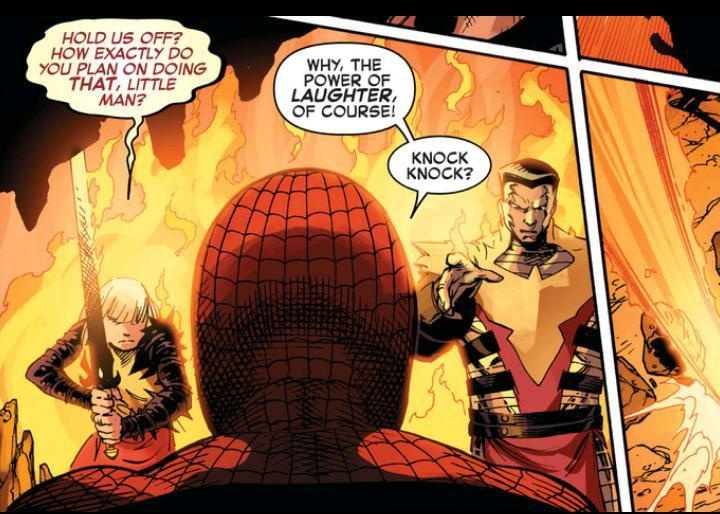 An All-New X-Men: Yesterday’s X-Men Review – I Grow Up to Be a Villain??? Even with its flaws, thus far All-New X-Men manages to be one of the more compelling Marvel NOW! releases. 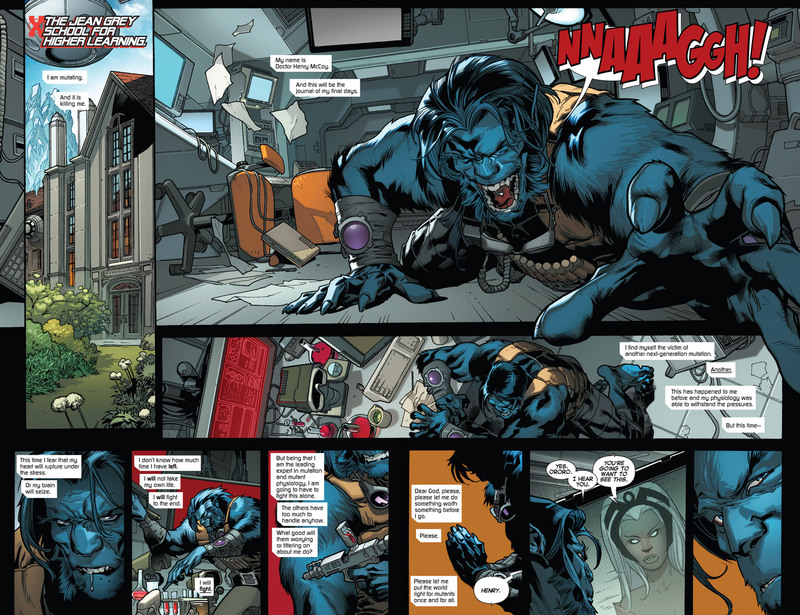 While at death’s door because of another next-gen mutation, Beast makes a drastic move. 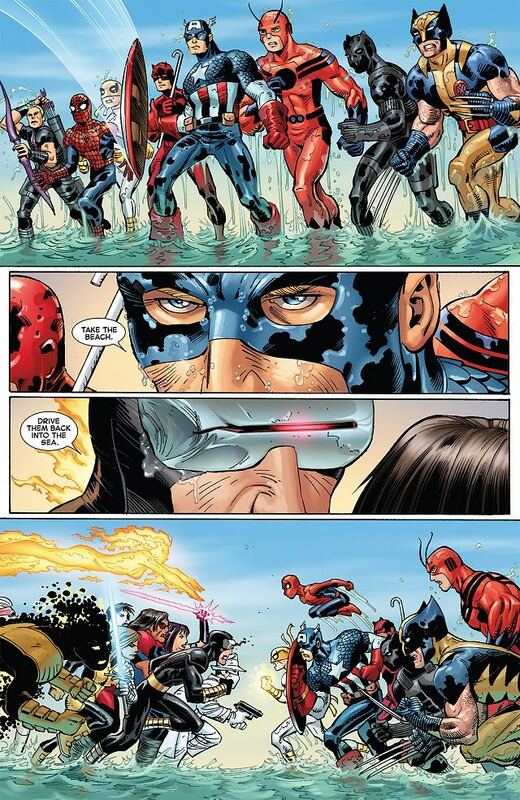 In an attempt to make Cyclops see just how far he’s fallen (see Avengers vs. X-Men), he travels into the past and brings the five original X-Men to the present day. 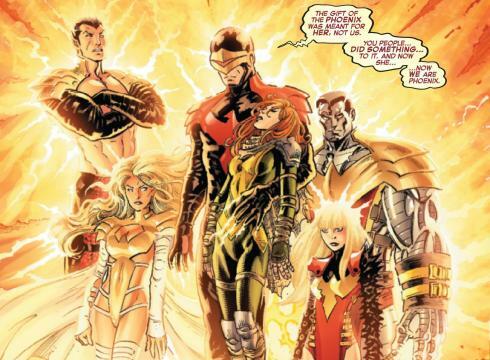 Now these relatively young and naive incarnations of Beast, Cyclops, Jean Grey, Iceman and Angel must face a future where Charles Xavier is dead, Cyclops is leading a “mutant revolution,” and humans all over the world are suddenly gaining mutant abilities. Yesterday’s X-Men is ambitious, to say the least. 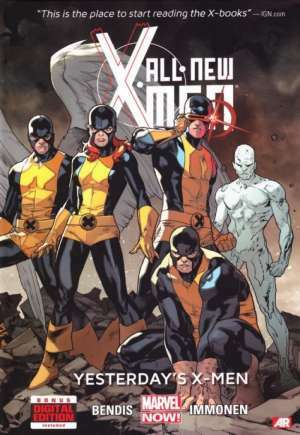 Here we have a book that’s trying to bring in new readers by kicking off a new chapter in the world of the X-Men, while at the same time bringing in time traveling counterparts from another era, while at the same time trying to adapt to a new status quo where Cyclops is essentially a bad guy, while at the SAME time trying to introduce new characters. We certainly can’t accuse Bendis of phoning it in, can we? What’s more, this entire debacle works for the most part. It hits a few snags, but All-New X-Men has been near the top of my weekly stack since issue #1. First and foremost, Stuart Immonen puts on a heck of a show here. He draws a hell of a Beast, particularly in the opening pages where we see him crying out in pain, with his hand extending out beyond the panelling toward the reader. The panel in the lower lefthand corner of the first page is a favorite of mine, as the character’s eyes tell such a great story. Cyclops also looks wonderful. He’s got a great badassery about him, particularly in the moment when he crosses his forearms, using the “X” symbol as part of an act of war. 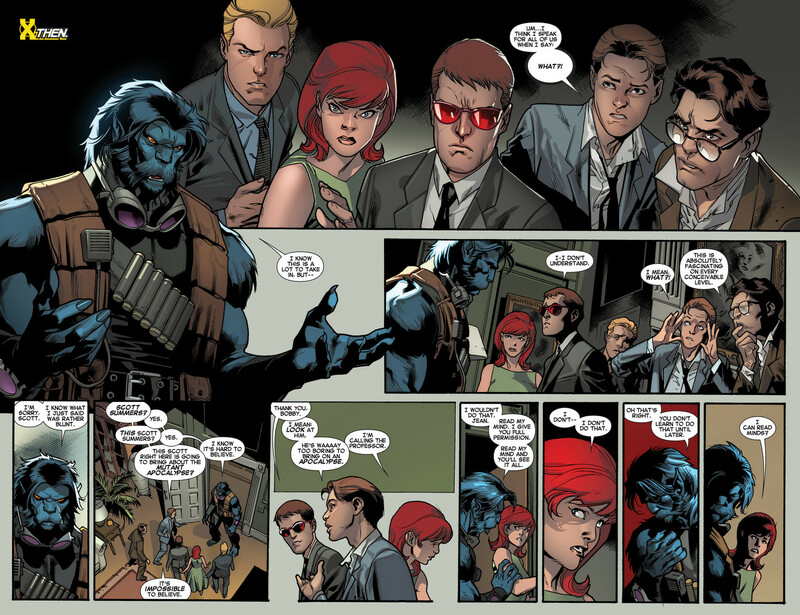 Immonen also has the unenviable task of drawing both Cyclops and Iceman at different ages (Beast is something of an exception, as his younger self is still human-looking). Almost all of this is pulled off very nicely. Beast a new look here, though I can’t say I’m a huge fan. At this point my loyalties are with feline Beast as opposed to simian Beast. Granted, it’s too early to make too harsh a judgment. But one character I CAN judge harshly is Iceman. Presumably to differentiate present day Iceman from past Iceman, Immonen draws the modern day character with silly looking icicles all over his body. This all seems like a needless distraction to me. 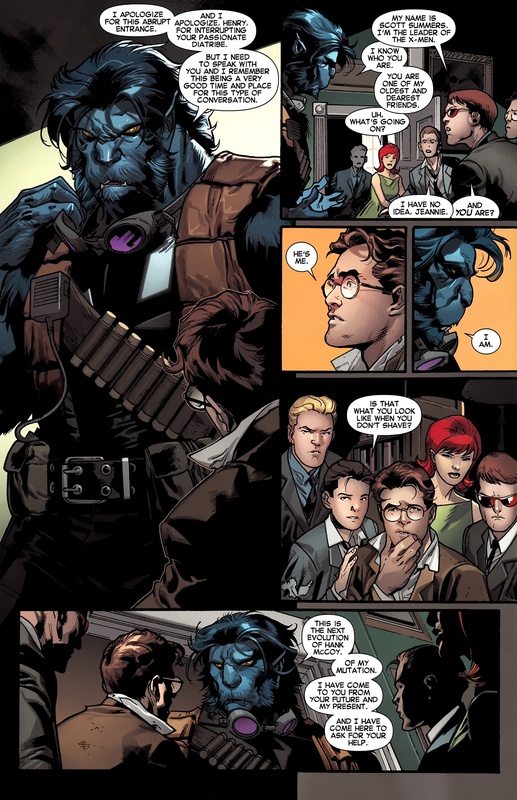 On the subject of our fuzzy friend, while Yesterday’s X-Men is essentially a book about Cyclops, one can make the argument that Beast steals the show here. In addition to seeing young Hank McCoy interact with and treat his present day counter part, readers will likely find themselves questioning the wisdom of his decision to tamper with the space time continuum. From a character logic standpoint, it’s something we can chalk up to desperate times and desperate measures at the end of the day. But the stakes are immensely high, and the number of things that could potentially go wrong are astronomical, which obviously makes for a more tense and intriguing story. And then we come to the proverbial elephant in the room, Jean Grey. If we’re looking for a way to bring Jean back, this works as well as anything. The characters all react accordingly to the reappearance of their fallen friend. She doesn’t get a hard hitting one-on-one scene with either Cyclops or Wolverine in this book, but it’s bound to be coming. Here Comes Yesterday plants the seed for that, and for now that’s enough. We also get a sub plot in this book about how Cyclops, Emma Frost and Magneto are suddenly having trouble with their powers as a result of their direct contact with the Phoenix (though Magneto wasn’t actually part of the “Phoenix Five”). This feels like filler to me, but I’m willing to see where it goes. At the very least, it gives us an interesting scene between Cyclops and Magneto in issue #4. If All-New X-Men is set to be the new flagship book of the X-Men line, then things are looking good for the time being. We’ve got a compelling story, fantastic art, and some great fan service going on. The negatives are there. But the positives are strong enough to offset them for the time being. Image 1 from ign.com. Image 2 from shootingdirtylooks.wordpress.com. Image 3 from superheroscifi.wordpress.com. This entry was posted in Comic Books/Graphic Novels and tagged All-New X-Men Vol. 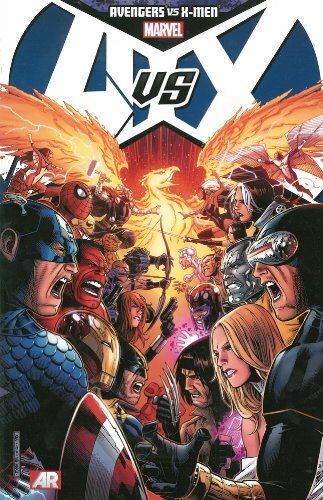 1: Yesterday's X-Men, Angel (Marvel), Avengers vs. X-Men, Beast (Marvel), Brian Michael Bendis, comic book reviews, Cyclops, Emma Frost, graphic novel reviews, graphic novels, Iceman, Jean Grey, Magneto, Marvel, Marvel NOW!, Rob Siebert, Storm (Marvel), Stuart Immonen, X-Men on 03/25/2013 by primaryignition.